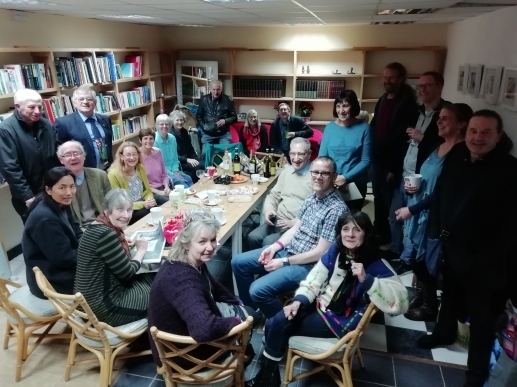 We held another successful social at a new venue of Grand Rue de Pera, 73-74 Queens Road, Hastings TN34 1RL, where the new video about the garden was shown to a public audience. Two of our long standing Trustees (Mary & Christine) who are stepping down were presented with some lovely hand crafted "Thank You" cards by Nigel. 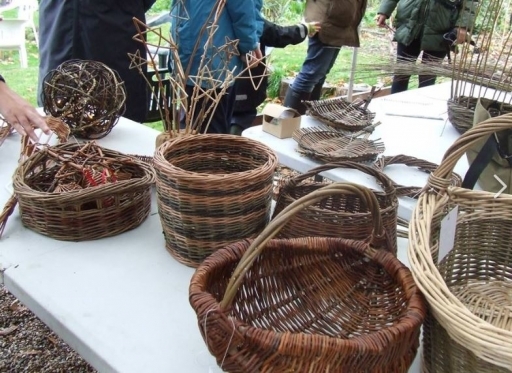 On 24 November, the garden hosted the lovely Mini Wood Fest.This was organised by a group of people who work in and with woods and trees, in connection with Tree Charter Day (you can find out more about this and sign the charter via this link https://treecharter.uk/). Despite pretty grim weather, the turnout was impressive, and visitors were treated to lots of information about trees and woods and ways to get more involved. Great connections were also made on the day, and ideas for future collaborations and projects were planted. We also want to say a big thank you to the Mini Wood Fest organisers for donating the profits from refreshment sales to the garden. 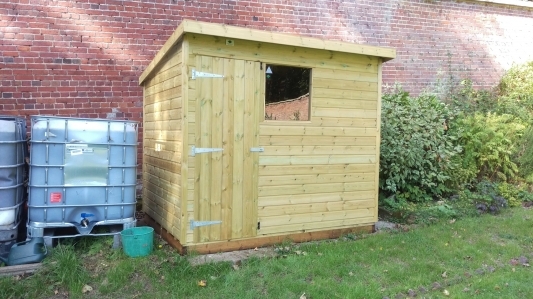 We lost our previous shed in 2016 and thanks to the support of the Magdalen & Lasher Charity and the Hastings & St Leonards Muffin Club we were able to purchase a replacement shed. The financial support was received in 2017, but we delayed its purchase until the wall was completed. 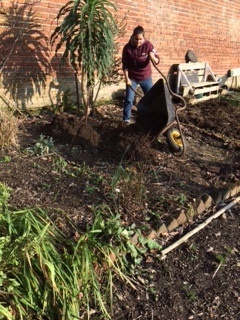 We were delighted to have the Recovery College run a 10 week course between May and September in the garden. 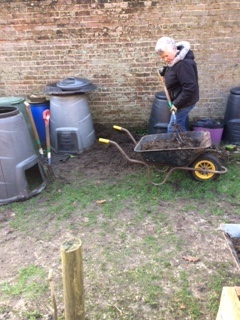 We received the following feedback from Lucinda of the Recovery College "Thank you BWGA for enabling Sussex Recovery College to run their first Well Being course in the Garden Over half of our current participants do not have access to a space to grow produce. As a team we have prepared the soil then sown and grown an abundance of fruit and vegetables using companion planting techniques. We have enjoyed making environmentally friendly slug traps and learnt a new skill of whittling wood in order to make our garden labels. 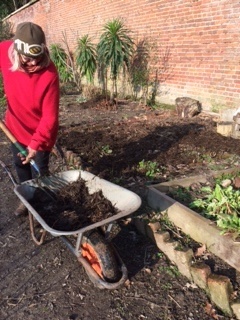 We have explored how best to achieve soil well being in conjunction with looking at how we can maintain our own well being through accessing therapeutic spaces like the walled garden. It is a testament to this special place that participants travel regularly from as far as Chichester to attend the group." Mary of BWGA reported "The group have managed to grow a variety of vegetables despite the very hot dry season and having to bring water to the garden. When I visited it was a joy to see a group of interested and happy people all working together. It has been a pleasure to work with Mel and Lucinda to arrange this course. They are asking to run the course again in 2019. This has been approved."